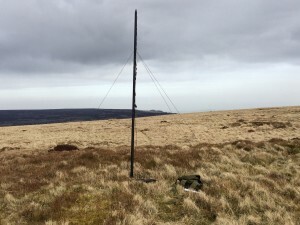 So I decided to take a trek up Coity Mountain (north of ‘The British’) GW/SW-012 on Saturday the 12th March. I wanted to activate this summit before the SOTA bonus season ran out on the 15th. 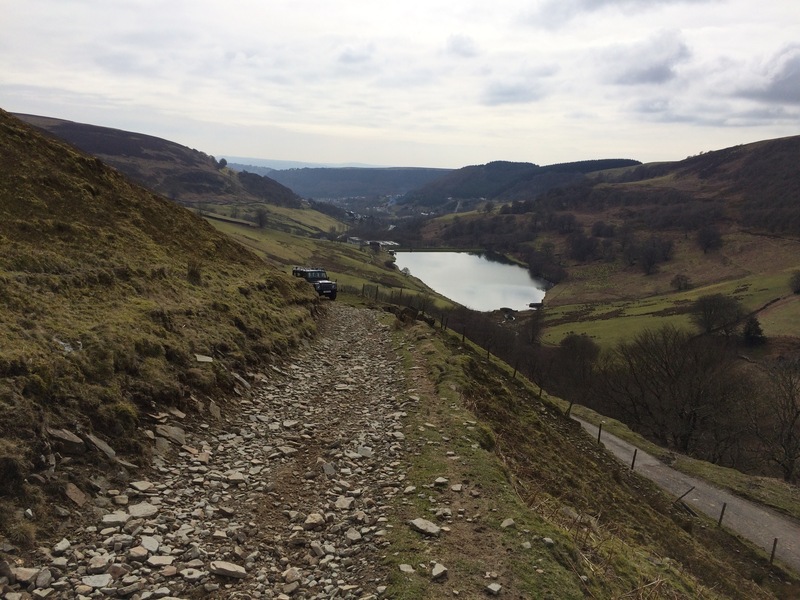 I drove up the Abertillery/Cwmtillery side of the mountain and followed the sat nav all the way to the reservoir. I carried on over the cattle grid and headed up eventually reaching a fork in the road. To the left a gate to the small reservoir header, and to the right, a rather poor track. 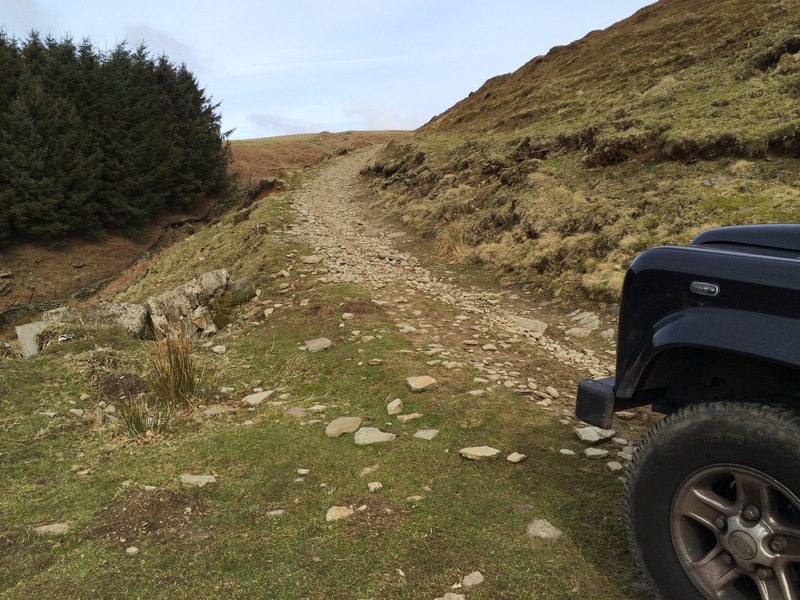 I headed up this track about 100 yards in the Landrover but stopped before it changed to rocks. I reversed down this track at the end of the day. So everything in hand, ruck sack, provisions, fibreglass mast and the 2m handy, I started walking up to the summit and following my nose. 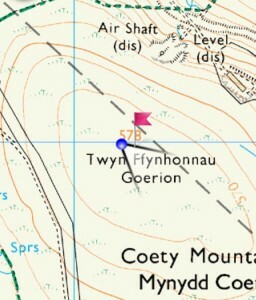 The first 50% of the walk wasn’t too bad with existing rocky tracks to follow, however this soon changed. 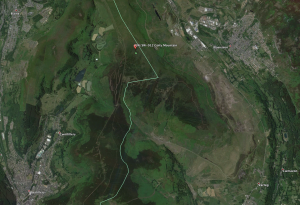 There were no foot paths/tracks to follow in the direction of Coity summit, so I followed my nose. 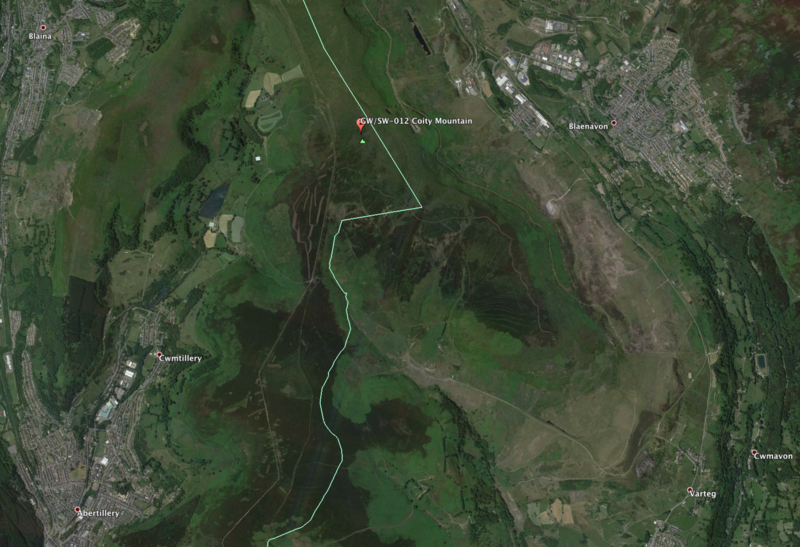 Care was taken over the heather as there were a number of bogs and crevasses on route. One of these crevasses approximated 5ft deep and 1ft wide, so easily missable in the heather covering everything. The fibreglass pole proved to be very handy at ‘prodding’ out the floor. It was a slog over this terrain, something like 45 minutes to get from car to summit. 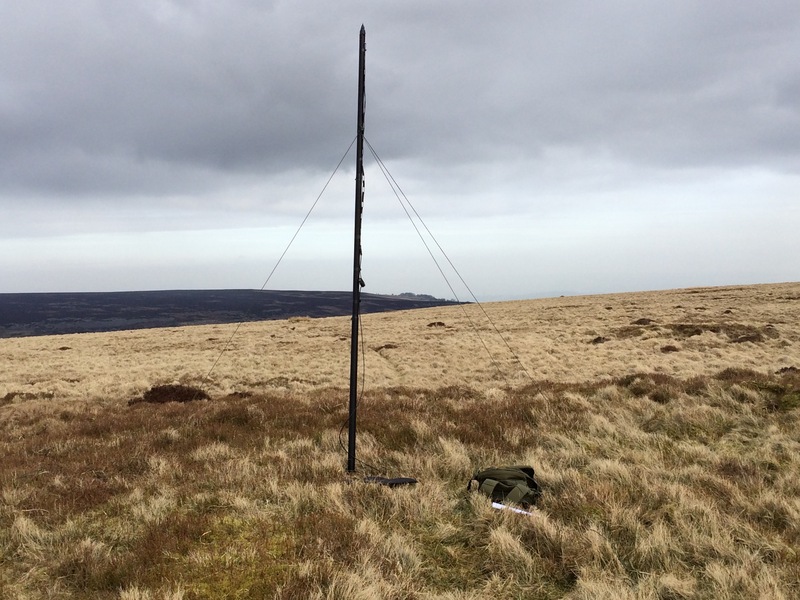 A good number of stations were worked, including a number of summit to summit (S2S) contacts. GW4VPX/P, MW0XOT/M, G0LGS/M, GW4BLE, G0LGS/P, GW0JTU/M, G0NUN, MW0JLA/P, G6OVD/P, 2W0IWM/P, G4ZWY, MW0JCQ/P including Viki MW6BWA and Rod MW0JLA. 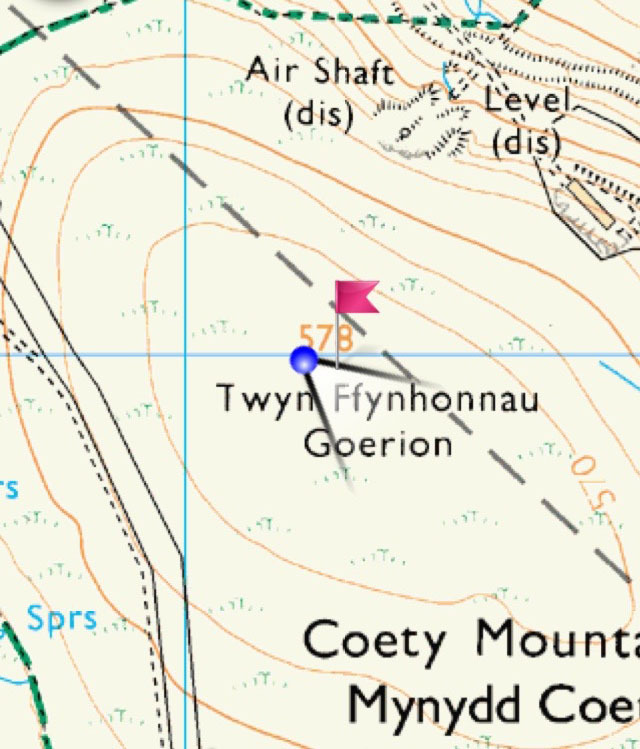 I had a nice couple of hours up there, some baked beans and a cuppa. I decamped around 4pm and headed down. Thanks to everyone for all the contacts. A most enjoyable afternoon. cheers Chris. Yep, something I want to get into over the coming year. Need to shed a few pounds though, as it was dripping off me after that walk up there, lol. Well done Richie. I did drive up the British with Rqm the other week and was amazed with the views from there as well. Would have been nice to have heard some of your contacts but one person can only do so much.